Google has made its monthly update to the developer dashboard with new platform distribution numbers, and KitKat is on a roll (finally). After making up only 2.5% of active Android devices last month, it's now at 5.3%. Yes, it more than doubled. Those continued Samsung updates probably have a lot to do with the jump. Jelly Bean collectively still makes up the majority of Android devices at 61.4%, but that's a slight decline from last month's 62% share. Gingerbread also lost a few percent, falling from 19% to 17.8%. This very gradual drop is probably due to the fact no Gingerbread devices are actively being updated to new versions of Android. The only way the number of GB devices drops is when people replace their old (probably prepaid) devices. 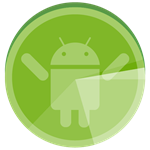 The Android version distribution is what everyone really wants to know, but let's not forget this is a developer tool. It also includes data on screen sizes and OpenGL versions among Android devices. Hit the link below for all that stuff.